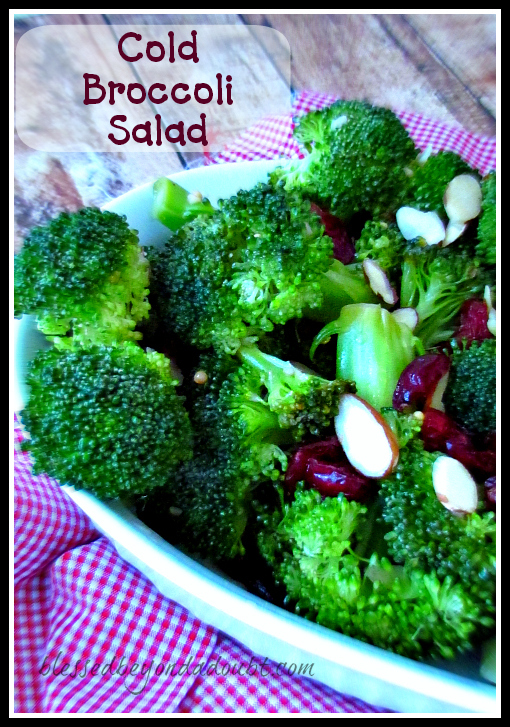 Easy Cold Broccoli Salad Recipe! I love having cold salads with a meal. I try to branch out and try to serve a variety of salads during the week. This is one of our favorites, especially during the hotter months. This is especially tasty with grilled chicken. I love to bring this to potlucks or picnics. It’s perfect for any occasion, so I tend to make it often. Be sure to follow us on Pinterest for more homemaking tips and resources! 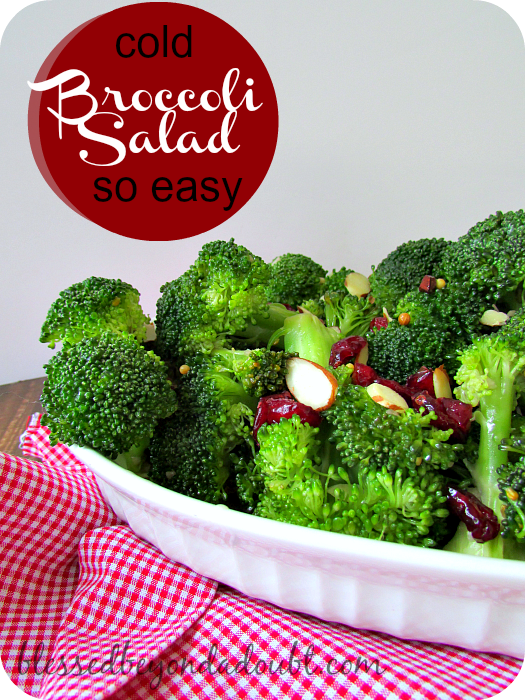 The next time you need an easy side dish, try this cold broccoli salad recipe. It’s wonderful!